ARNOLD R. DAY, Jr. – Gunn Shank & Stover P.C. Lawyer: ARNOLD R. DAY, Jr.
AREAS OF PRACTICE: Arnie leads the firm’s appellate court practice and also has extensive experience in matters relating to the Missouri Department of Revenue, which he once represented as an assistant Missouri Attorney General. 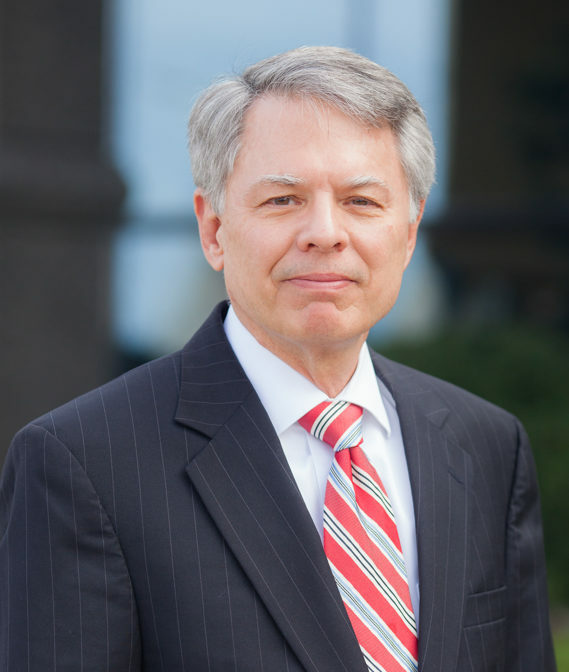 He also practices extensively in the areas of estate planning, probate and will and trusts. PROFILE: From 1978 to 1980, Arnie represented the Missouri Department of Revenue as an assistant Missouri Attorney General. From 1980 to 1991, he worked for the Margoline & Kirwan firm. In 1991, he joined Gunn, Shank & Stover. Mr. Day graduated in 1974 with a degree in Economics from the University of Missouri-Kansas City and graduated from the University of Missouri-Kansas City law school in 1978 with distinctions. He lives in Liberty with his wife, Jane and three daughters.